I love all the berry hues that have come into their own since the colder weather hit and have pulled out three of my favourites that have been sat in hibernation over the summer. For me, these are Autumn and Winter in a bottle, tube and pot! This colour is completely out of my normal comfort zone of neutral eyeshadow, yet it is surprisingly wearable. In the pot the colour looks very bright, but on the skin the eyeshadow turns into a deep burgundy with a delicate gold shimmer that softens the overall look. The cream formula is seriously pigmented, long lasting and buildable, so you can wear it quite sheer or quite strong as per the swatch. For me this is a perfect alternative to a black or brown smokey eye, but still with lashings of mascara and a sweep of liquid eyeliner for extra definition. If you're scared off by deep berry shades when it comes to lipstick, but still want to rock a berry lip, then the pinky-plum shade Plumful by MAC is a great choice. The lustre finish means the colour is a little more sheer than other finishes and is quite glossy, which softens the effect. 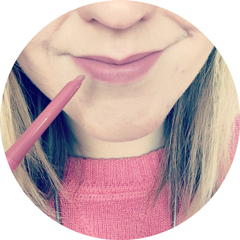 If the shade is still a little "out there" for you, it looks gorgeous just blotted on or if you want a little more oomph, pair it with a lipliner for an evening out (I recommend the No7 Precision Lips Pencil in Plum). I love this range of nail varnish; Uptown Blue was a summer favourite and now it's Autumn I'm replacing it for the gorgeous Divine Wine, which I also mentioned in my recent 5 Autumn Nail Picks post. 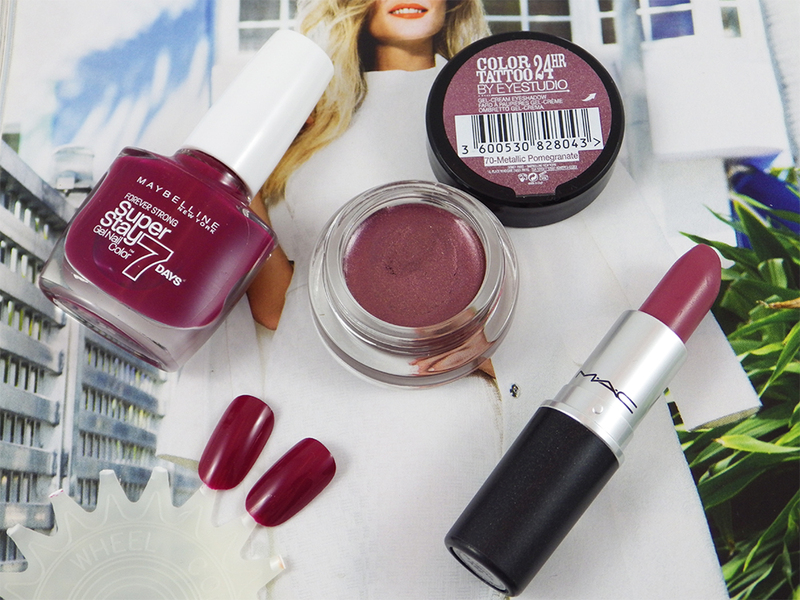 This mid-toned berry shade is vibrant but deep in tone and has a lovely glossy finish. The wide nail varnish brush makes the thick formula very easy to apply and lasts a good 5 days on me. I know I won't be able to get enough of these berry beauts over the next few months. I'd love to know your favourite berry toned makeup products? I have that Maybelline colour tattoo. I'm yet to use it properly but it's SUCH a gorgeous colour! Divine Wine is such a tasty shade! A good price too for such a nice polish. The colour tattoo looks fab! 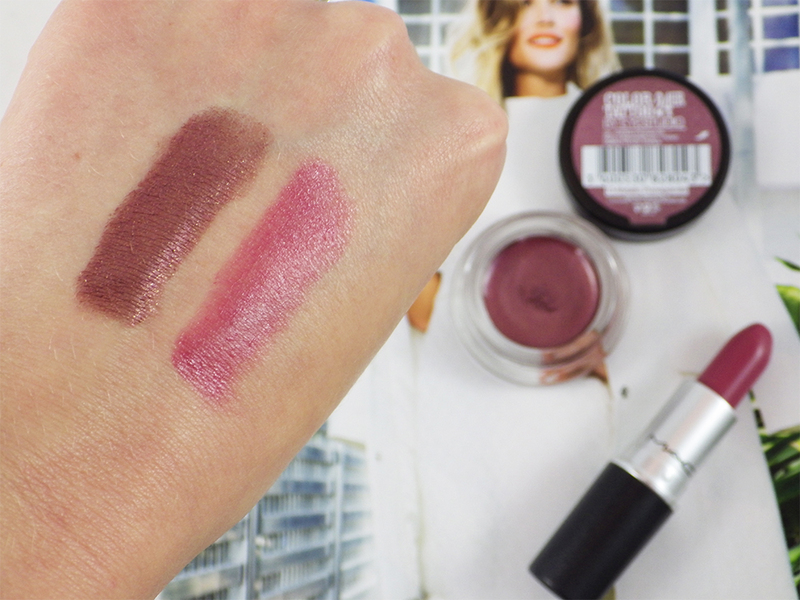 Plumful is one of my favourite lipsticks!